FWIW, Streep does have two Oscars already -- Best Supporting Actress for Kramer Vs. Kramer (1979) and Best Actress for Sophie's Choice (1982). It is a little funny, though, how she has been nominated ten times since then but has never won for any of those nominations. Oh goodness. This is another that has been on my list for some time and as with you, I loved "The Painted Veil". 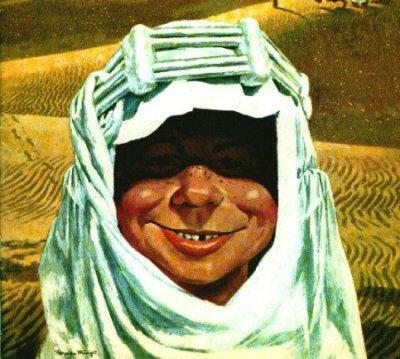 I may have to get around to "Out of Africa" sooner rather than later. I really loved her in this role also. I was completely drawn in to this long story that, you're right, doesn't have a natural story arc. Perhaps the realness of what the characters experienced was easy to connect with...combined with excellent acting from both Streep and Retford. The word you are looking for is "pseudonym" Isak Dinesen for Karen Blixen. Loved "Out of Africa." and both Robert Redford and Meryl Streep in it. And how about the soundtrack from OoA? Incredible. right? Didn't you just love "The Painted Veil"? Another film based on an Isak Dinesen short story is "Babette's Feast." Still smarting over Whoopies loss. But Meryl was also worth. "Pseudonym" or, if it's only for writing, "nom de plume." Streep and Redford and Brandauer were all superb and I do love the film, but most people think it's romantic and I found the romance to be the least interesting part. A John Barry score, by the way. I have seen Out Of Africa four times...love Meryl in this role. Love this movie. 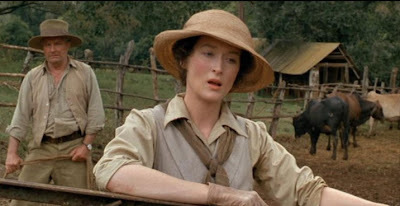 I think Streep could have won for several early performances including Silkwood and Out Of Africa. I sure hope she will get another soon, because I can't stand it that Hilary Swank is ahead of her with two for Best Actress, over Meryl's one for supporting and one for Best Actress. j'adore trop cette actrice je n'ai jamis vu out of africa mais je pense que je le verrai bientot!! en tout cas cette actrice est plus que merveilleuse dans tous ces films!! I love "Out of Africa" Can anyone tell me what is the origin or title of the thoughts she read aloud at Denys' funeral??? it's Driving me crazy. Love Streep wish she would do an album. I love her singing.